Recently, LED package workshop first-stage project went into production. This workshop covers an area of 1800 sq.m and its monthly output will reach 300 thousand sets when it produces in a full capacity. According to the LEDinside, the LED research department of TrendForce, with the price of backlit LED continuing to decline, it is predicted that the penetration rate of LED backlit TV this year would be about 73%, and the rate would be elevated to 90% in 2013. Meanwhile, the average size of TV would increase from 38.6-inch in 2012 to 40.1. The enlarging size might raise the average LED number. The size of TV is estimated to have an enlarging trend: the proportion of 50-inch, 55-inch and 60-inch would become bigger, which will drive demand for LED backlight market greatly. Therefore, for the purpose of controlling industrial chain and lowering cost, we decided to develop LED backlight independently on the basis of purchasing backlit components to assembly panel. In the beginning of this year, we have invested 2 million continually in the construction of workshop and purchase of relevant equipments. 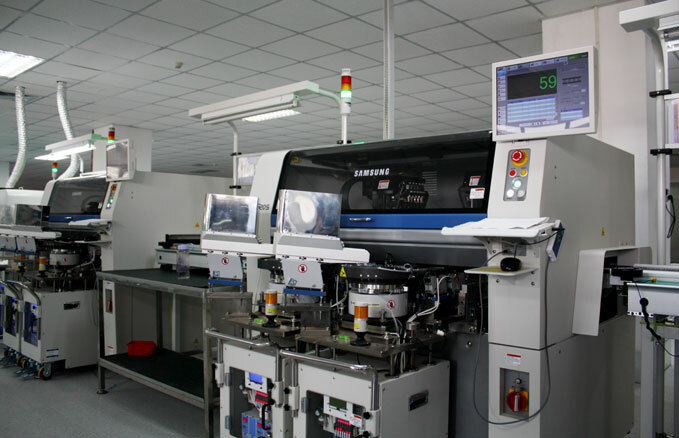 It is reported that the automatic assembly lines in LED package workshop are top international brand machines that imported with original packaging, for example, the SMT machine is purchased from SAMSUNG—one of the biggest international advanced equipment manufacturers at present. An artisan hoping to do fine work must first sharpen his tools. Therefore advanced equipments provide powerful supports and guarantees to enhance production efficiency and line yield; ensure excellent quality and supply of LED backlight. At the same time, through the verification of earlier stage trial-production, the management level of workshop gained a big improvement. The whole process contains 21 procedures and the corresponding guidances are stuck to relevant positions. Operators are demanded to operate strictly according to SOP. And there are 5 working procedures on detection from semi-finished products to finished products, which ensures that the line yield can be at advanced level in industry. From the beginning of the 21st century, the competition of global manufacturing industry reflects in industrial chain. 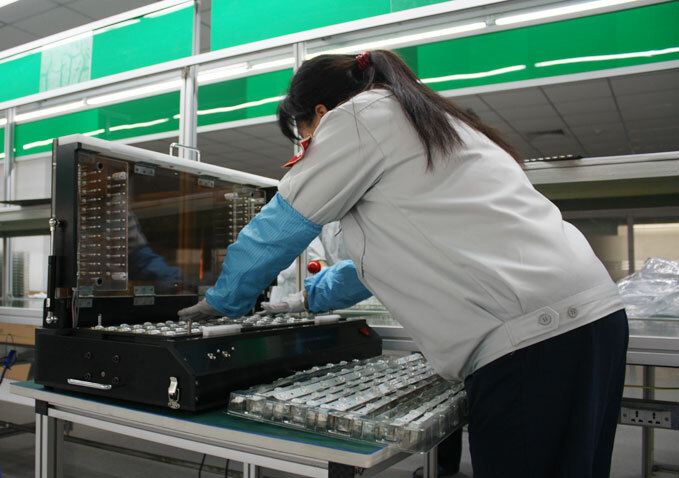 The production of LED project will change the situation of our LED backlight supply chain. It not only lowers the integrated cost of products, but also, strengthens the vertical integration ability of industrial chain. It will become one of advantages among competition, and ensures we can remain invincible in drastic market competition.